Our traditional Timber Sliding Sash Window is available in a range of glazing options to suit local requirements, with the option of spring balances or traditional weights and pulleys. Made on our state of the art CNC machine to ensure the sashes are perfectly square and accurately sized – a must for smooth operating Sliding Sash Windows. Glass as standard is low emissive soft coat, with warm edge spacer bar and argon filled cavity. 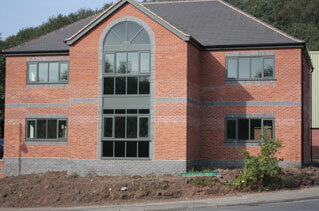 All our timber windows can be supplied, glazed or unglazed to suit your requirements. Other glass specifications are available to meet specific needs, contact one of our team for more information. Traditional hardware options for locking and sliding sash lifts for operation are available in brass and chrome. Operating poles for taller hard to reach sash windows are available in a number of styles. We have even incorporated our Sliding Sash windows in our Timber Conservatories and Orangeries. Next day quotes are available across the whole of our product range. Send us an enquiry to see how we compare.